There are cruises to the Bahamas from New Orleans. The round-trip voyages are 7 days long and include two stops in the Bahamas and a stop at Key West. See the complete schedule of departures below. The Bahamas are an archipelago of islands in the Atlantic Ocean, southeast of Florida. The 700 islands aren't far off the coast, so they are a major destination for cruises. 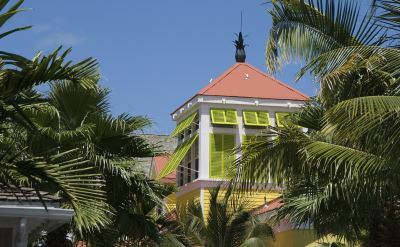 Nassau is the capital of the Bahamas, and one of the stops on your cruise. It is on New Providence Island, which is connected by bridge to Paradise Island. Shore excursions include beaches, golf, nightlife and casinos. Lots of shopping is available, from the bustling Straw Market to the boutiques of Bay Street. 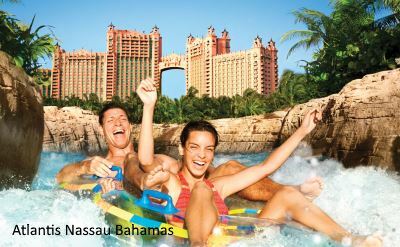 Day passes to the water park at Atlantis Resort are popular. Freeport is the other port of call in the Bahamas. 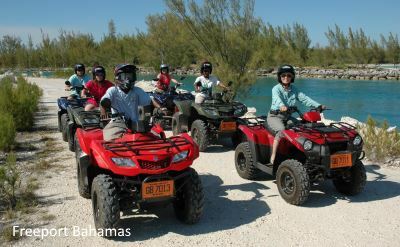 It is on Grand Bahama Island, the fourth largest in the chain. 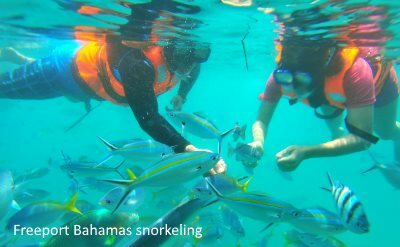 Popular shore excursions include kayaking, swimming with dolphins, off-road ATV rides, Jeep adventures, snorkeling, and bike rides. 7-day cruises to the Bahamas on Carnival Cruise Line. Round-trip from New Orleans to Key West (Florida), Freeport (Bahamas) and Nassau (Bahamas). • 2019 departures: June 9, July 14, August 18, September 22, November 3, December 1. 7-night cruises to the Bahamas on Royal Caribbean. Round-trip from New Orleans to Key West (Florida), Nassau (Bahamas) and CocoCay (Bahamas). • 2019 departures: April 13. 7-night cruise to the Bahamas on Disney Cruise Line. Round-trip from New Orleans to Nassau (Bahamas), Castaway Cay (Bahamas) and Key West (Florida). • 2020 departure: February 7. 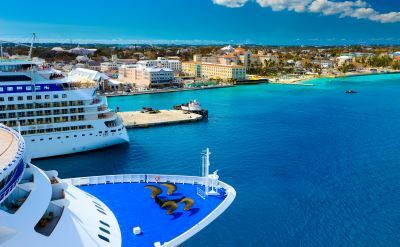 Read a review of a cruise to the Bahamas from New Orleans. They took the 7-day cruise on the Carnival Dream. It includes many photos of the ship and the ports of call. Watch a video review of a New Orleans to Bahamas cruise. This is also on the Carnival Dream. It is a combination of slide show and motion video. Scenes from the ship, Nassau and Freeport.